Scale is the precipitate that forms on surfaces in contact with water as a result of the precipitation of solids that become insoluble as concentration increases. The chemical treatment of water associated with oil and gas includes the application of scale inhibitors, such as phosphonates, to help maintain the integrity of equipment that is used during the drilling and production phases. Treatment is used to reduce the concentration of scale forming compounds that can accumulate in production wells, water and disposal wells, flowlines and surface equipment. Scale inhibitors are used to prevent these deposits from forming. It is extensively used in oil well drilling, fracturing or fracking. Scale inhibitor is a type of chemical that stops or interferes with inorganic scale nucleation, precipitation and adherence to production conduit, completion system or processing facilities, the three key elements susceptible to scale problems. In oilfield, scale inhibitors are typically continuously injected via capillary or subsea umbilical tubes to the tree or downhole depending on the location and severity of the scaling risks, or periodic scale squeeze treatments may be required to place the inhibitor in the reservoir matrix if the scaling occurs in the near wellbore region or at the completion. 5. 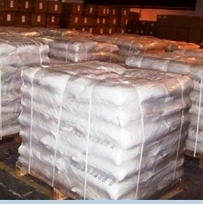 Neutralized Phosphonate Blend SI-625. 1. Oil field – Pumped at 1 to 4 gpt with frac fluids to provide residual scale inhibition. Designed to adsorb on to proppant and release over time. Chemical Structure: SI-625 is a water based blend of neutralized phosphonates which have excellent Calcium Carbonate, Calcium Sulfate, Barium Sulfate and Strontium salts chelation capabilities. Compatibility: Compatibility with brine, calcium chloride, KCl solutions as well as all known fracturing fluids, gels, cross-linkers and additives. Environment: SI-625 is not hazardous to the environment. SI-306 is a solution polymer which has excellent soluble scale forming salt chelation capabilities combined with superior dispersion capabilities of insolubles. The polymer is a low molecular weight (5,000 daltons average MW) Acrylic backboned polymer. Environment: SI-306 is not hazardous to the environment. 1. Oil field – Pumped at 1 to 4 gpt with frac fluids to provide residual scale inhibition. 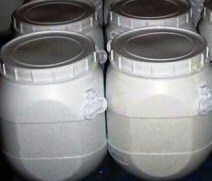 SI-B325 is a highly concentrated, water-based, neutral pH, sodium salt of BHMT phosphonate which has excellent Calcium Carbonate, Calcium Sulfate, Barium Sulfate and Strontium Salts chelation capabilities. It is soluble in hard water and most other polar solvents. Environment: SI-B325 is not hazardous to the environment. Availability: Houston Texas, Midland Texas USA and Mumbai India. 1. Oil field – Pumped at 1 to 4 gpt with acidizing fluids to provide residual scale inhibition. Designed to adsorb on to proppant and release over time. Chemical Structure: SI-3338 is a water based blend of phosphonates which have excellent Calcium Carbonate, Calcium Sulfate, Barium Sulfate and Strontium salts chelation capabilities. 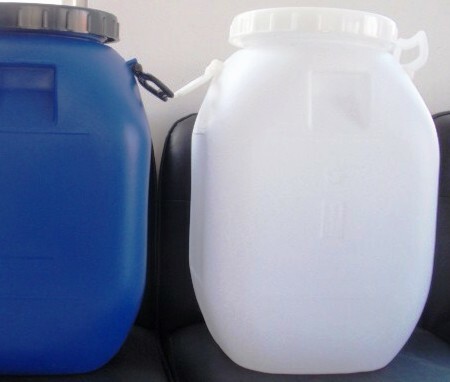 Compatibility: Compatible with all concentrations of hydrochloric acids, mud acid, brine, calcium chloride, KCl and all known acidizing fluid additives. Environment: SI-3338 is not hazardous to the environment. SI-5025 is a solution co-polymer of multiple specialty monomers. It is designed to maintain stability at temperatures up to 450 F while retaining scale forming salts in solution even at extremely low surface temperatures. This low molecular weight product is approved for use in the North Sea. SI-5025 has been effectively used in topside, continuous injection, and squeeze applications. While SI-5025 is targeted for Barium Sulfate, and is also effective for the prevention of Calcium Carbonate, Calcium Sulfate, and Strontium Sulfate scales. SI-5025 is also effective in sour wells where ferric ions are present. Presence of ferric ions deactivates traditional polycarboxylic acid and phosphonate based scale inhibitors. Environment: SI-5025 is not hazardous to the environment.